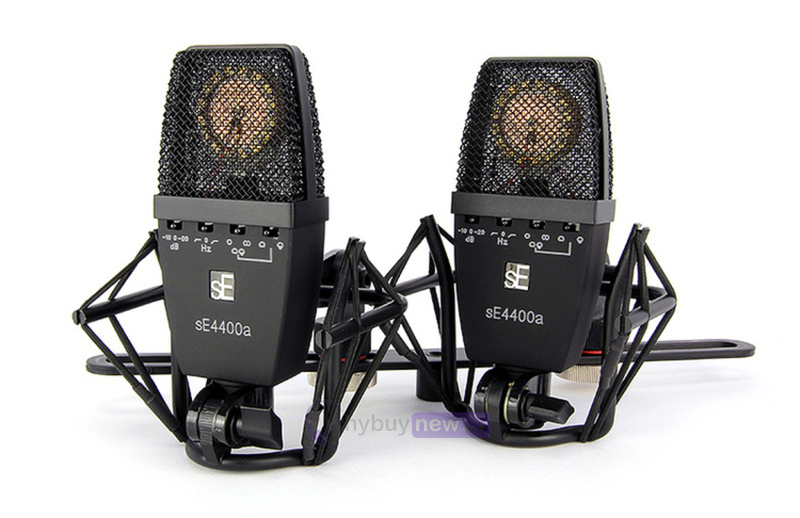 The sE Electronics SE 4400A Pair are factory-matched for perfect tolerance and come with custom shock mounts, stereo mounting bar and secure flight case. 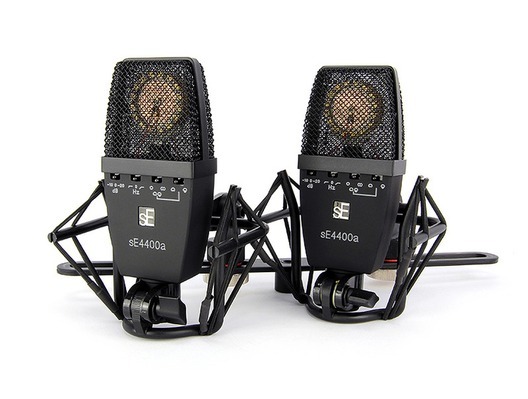 The 4400a is a versatile vintage-style brass capsule microphone that features four polar patterns - cardioid, hypercardioid, figure-8 and omni. Ideal for use in the studio, live and broadcast applications.